All hope is most certainly not lost following the Sept. 28 loss to Kuemper. The Knights are much better than their 3-3 record implies, as we all witnessed last week, though on the same note, Greene County is definitely not as poor as the eight points they threw up on the scoreboard in Carroll. Just ask Greene County head coach Mitch Moore, he’s more encouraged than disappointed even as his guys faced a deficit for the first time all year. Certainly, there would be a bit of an adjustment period once adversity finally struck. The defense played great yet again, even turning back KHS running back Nate Wendl for a 10-yard loss on the opening play of the game, while also forcing 10 three and outs. The Knights were the first team to score multiple touchdowns in a game against the Rams, the first to break the 100-yard rushing barrier while also scoring the most points in six weeks. Still, the defense locked in, holding Kuemper to just three second half points. It took awhile, but the offense finally woke up, stringing together a a few second half drives. If not for a dropped pass on fourth and one midway through the second half, the Rams very well could be sitting at 6-0. But I digress, there’s still plenty left in the bucket, with a potential playoff berth of the utmost importance. As Greene County turns the page to the final three weeks of the season, it’s how they respond following their first loss that will define this year’s squad. This group of players has never had much of a chance – or motivation – to bounce back from a loss before, they just all eventually rolled into one demoralizing defeat after another. So an opportunity to regain their spot among the state’s elite as the playoffs near is one Greene County refuses to pass up. “We’re going to find out what we’re made of,” Moore said following the Kuemper loss. “We certainly laid a great foundation to get to where we were. The fact of the matter is, the Rams must take care of business, and ideally win out. 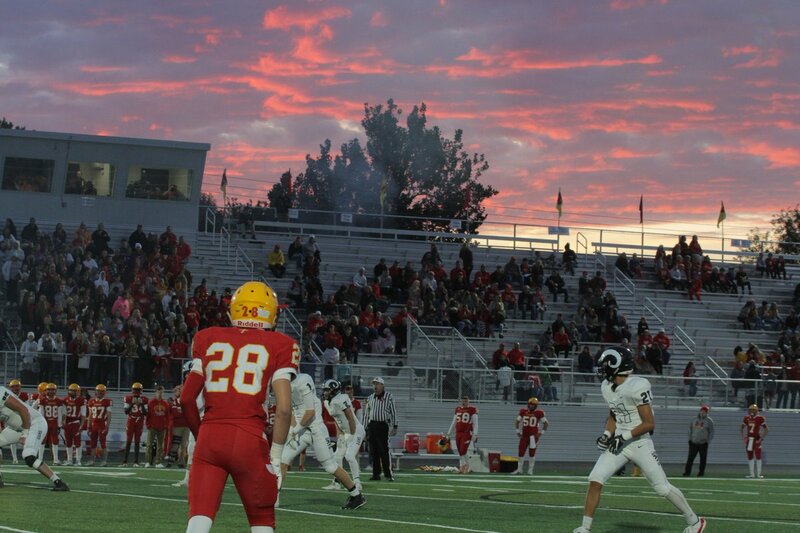 An automatic berth is most likely out of the picture, as Kuemper holds the outright district 9 lead, with the added prospect of a head-to-head win if a tie-breaker is needed. The Rams face Atlantic this week (0-2 in district play), then travel to co-district leader Red Oak (2-0) the following week before closing out the season against OA-BCIG (5-1, 1-1). Win those three games and Greene County is most likely in the playoffs. The Rams are rated 13th in the latest RPI index, which the IAHSAA will use to determine the seven at-large playoff teams. With that in mind, nine of the top teams within the RPI rankings will theoretically earn guaranteed spots, which leaves Greene County with a little bit of wiggle room. Every game from here on out is essentially a win-or-go-home playoff-esque matchup. Greene County also wants a little help from their opponents. With the way the RPI is put together, they, too, also need to keep winning. Though, Greene County may want Red Oak to lose this week to Kuemper, so a Ram win two weeks from now eliminates any type of log-jam. The time is now, Moore said. Recuperate and get back on the winning track. This week, the figurative playoffs begin, can Greene County handle the pressure?